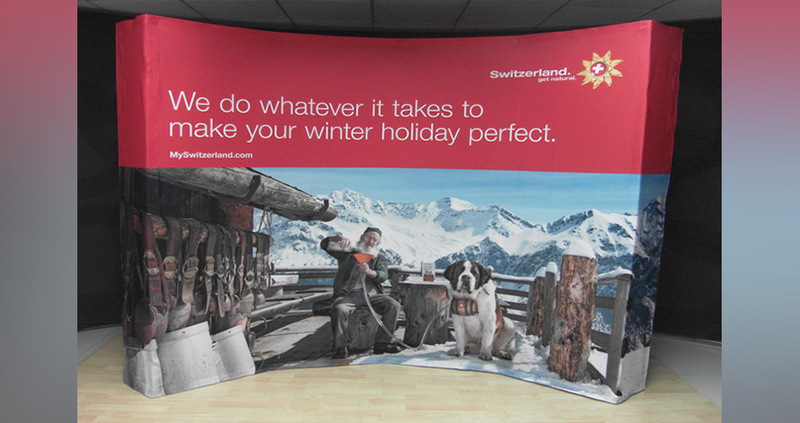 All fabric graphics are printed onto our displays using dye sublimation printing, a process that provides photographic quality images, and the prints are secured to the frame using industrial strength Velcro. 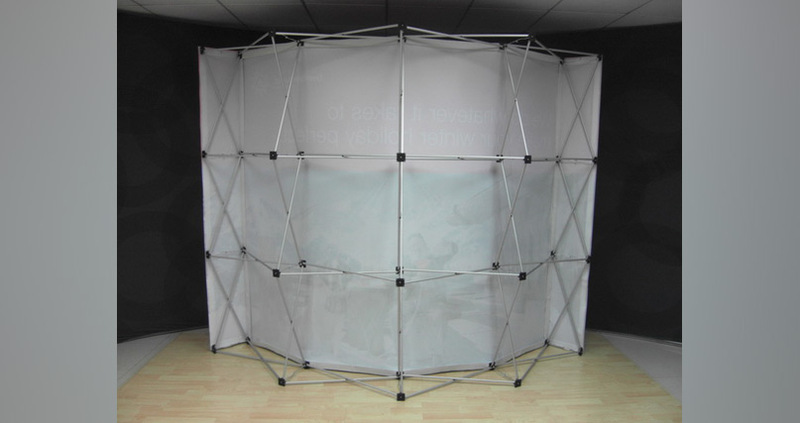 The complete display can be set up and taken down in just three minutes, as the graphic remains attached to the frame. Once the event is over, simply release the Velcro on the two side end caps, unlock the locking bars and gently fold the whole display down. Really simple. 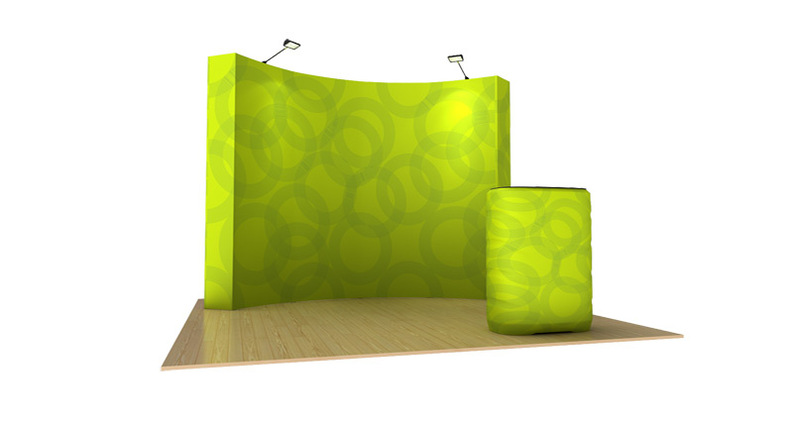 The express fabric pop-up display is available in three sizes – the two larger ones are available with either a straight or curved frame configuration, whilst the smaller one is only available with a straight frame. 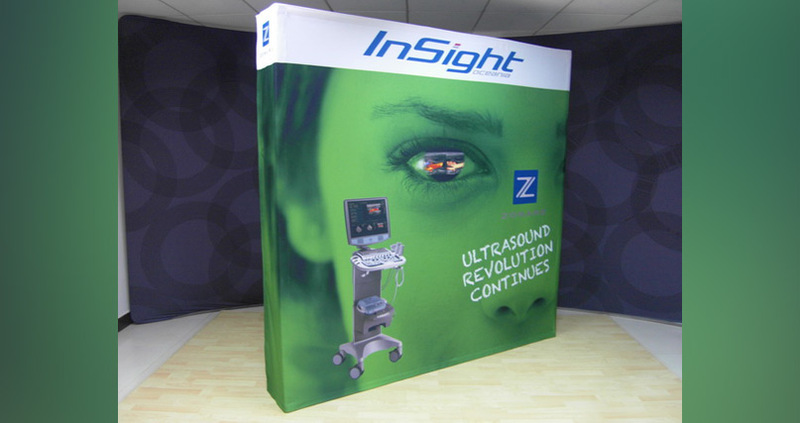 The great thing about these displays is that the printed graphic can easily be replaced, so you can change your message or branding as required! I’m concerned about the quality – what does the print look like? 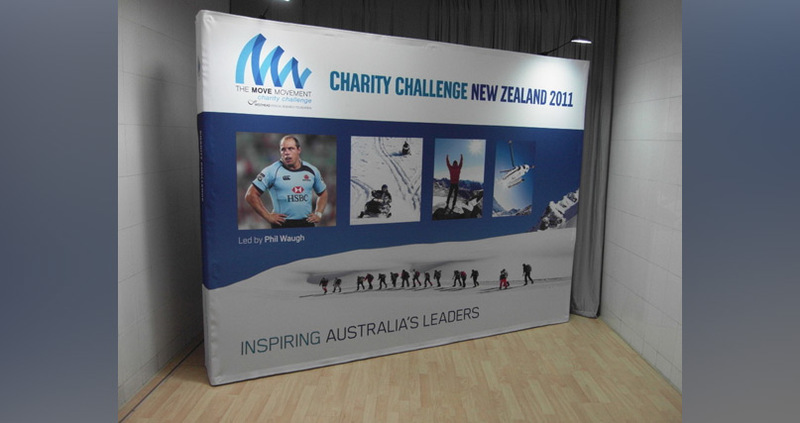 Fabric printing has come a long way over the last few years; it is now used extensively in tradeshow displays because the quality is excellent. 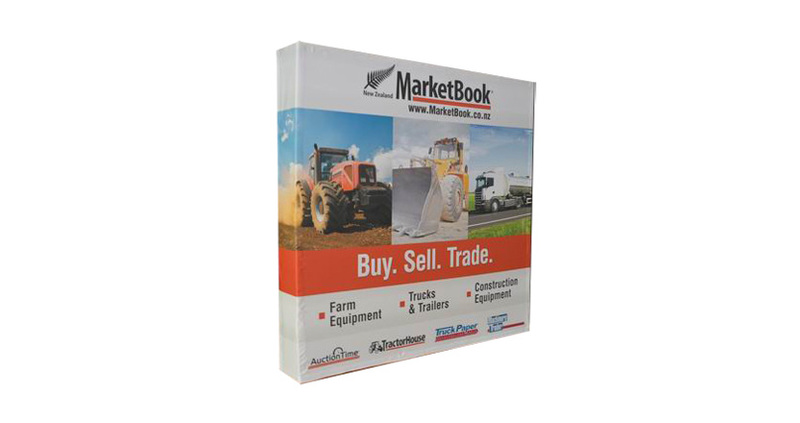 If your graphics have extensive detail, it will print clearly and crisply. Do the fabric graphics on these displays need ironing? No. We use a high quality polyester, which is stretched across the frame so that any creases instantly disappear. 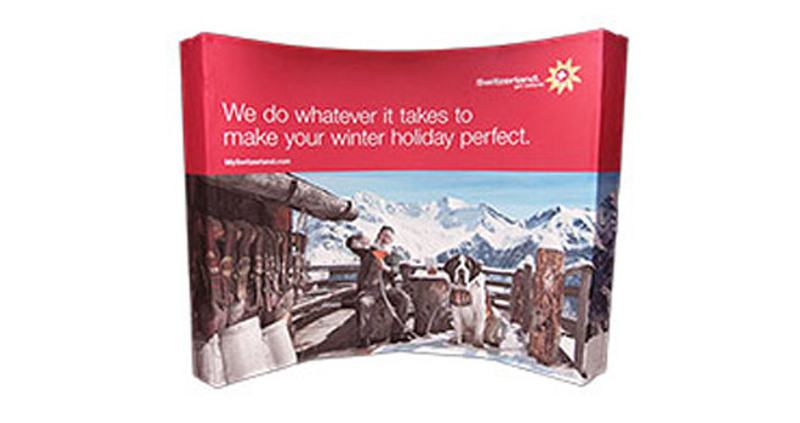 The express fabric pop-up display is quick and easy for one person to assemble. 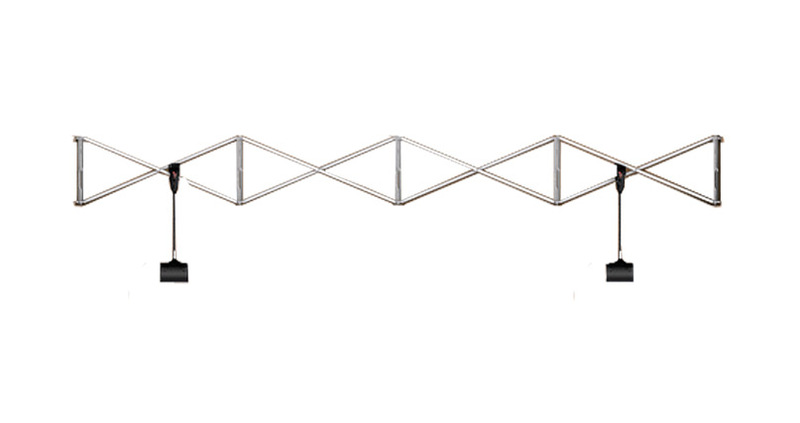 Even if you’ve never assembled one before, we’re sure you’ll have it ready to go in just a few minutes. 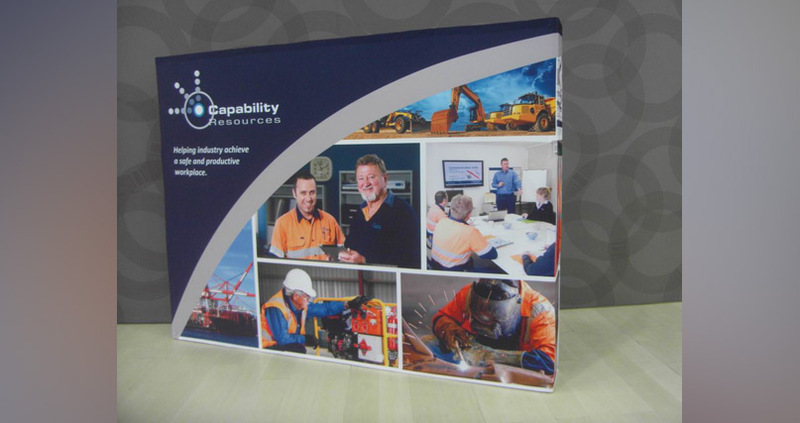 "I was extremely happy with the quality of the fabric print on my display. 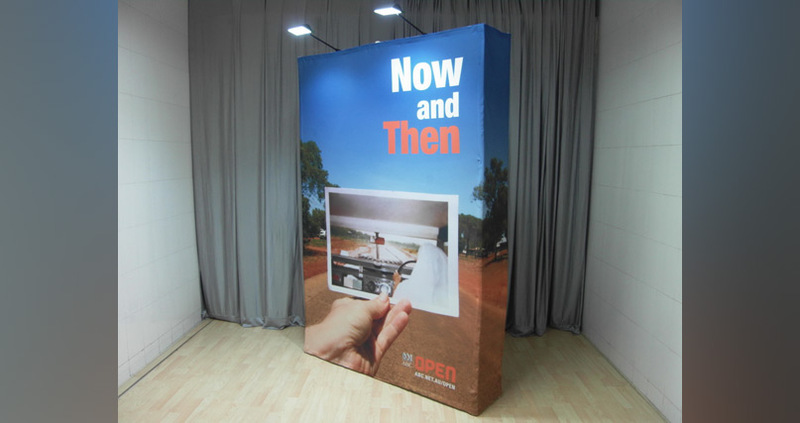 It was easy for me to erect by myself, looked fabulous, was light and packaged into a portable case. 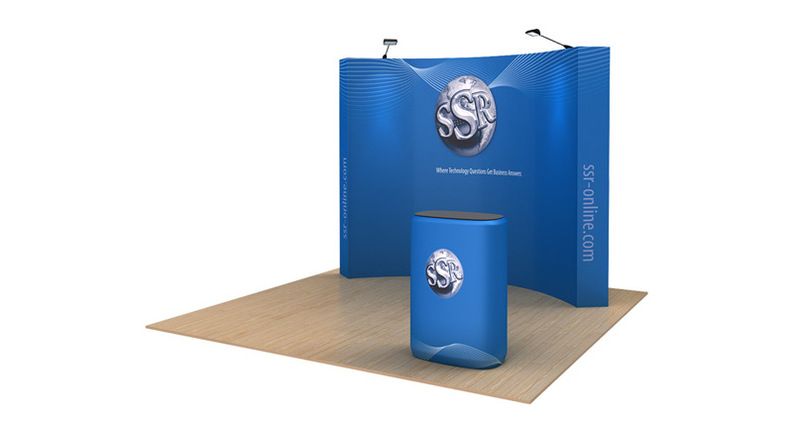 The service from Displays Direct was excellent - I would definitely do business with them again." "Great display. 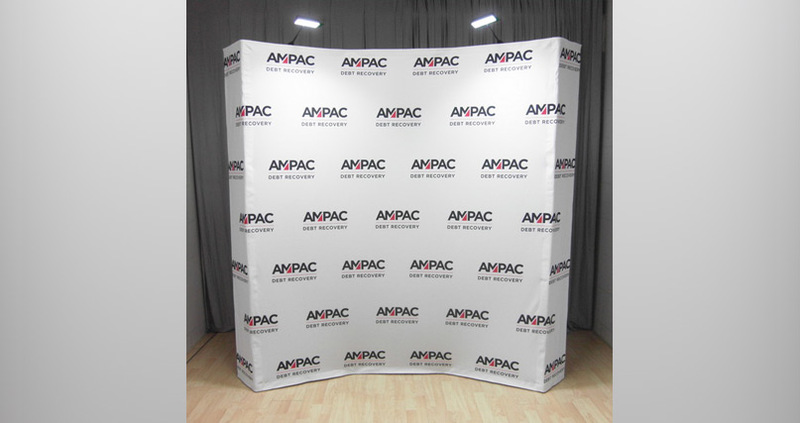 We use it for our companys branding wall at trade shows. The quality of the print is excellent and its easy to assemble. 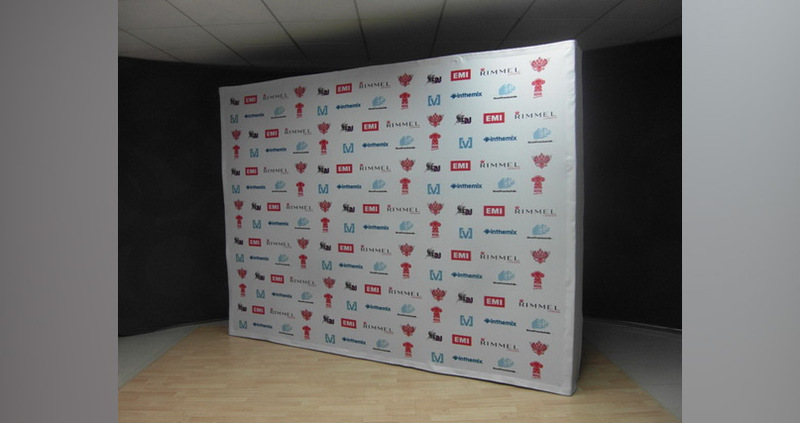 The Displays Direct staff are very professional and they designed our artwork and produced the display really quickly." 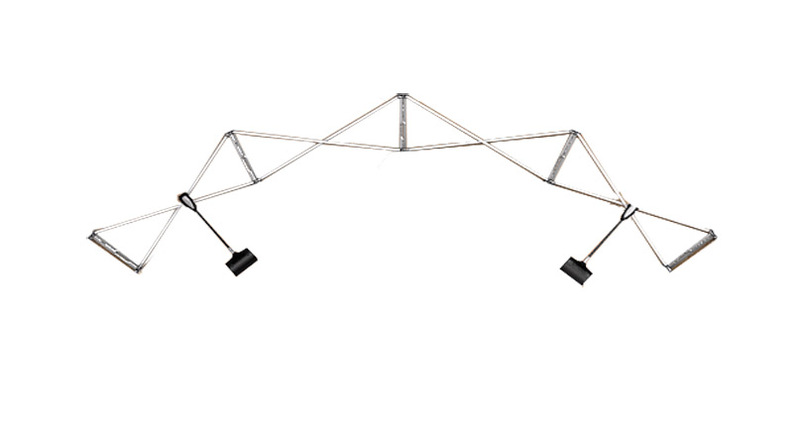 "The stands and case are awesome, we converted with ease and the Expo gals are excited.Id just like to thank you again for your special needs attention to our project and your really well directed advice. Brilliant once again Displays Direct." "Our banner arrived today and it looks great. Easy to assemble and the images on the fabric have printed really well. Mark at Displays Direct provided great customer service. "